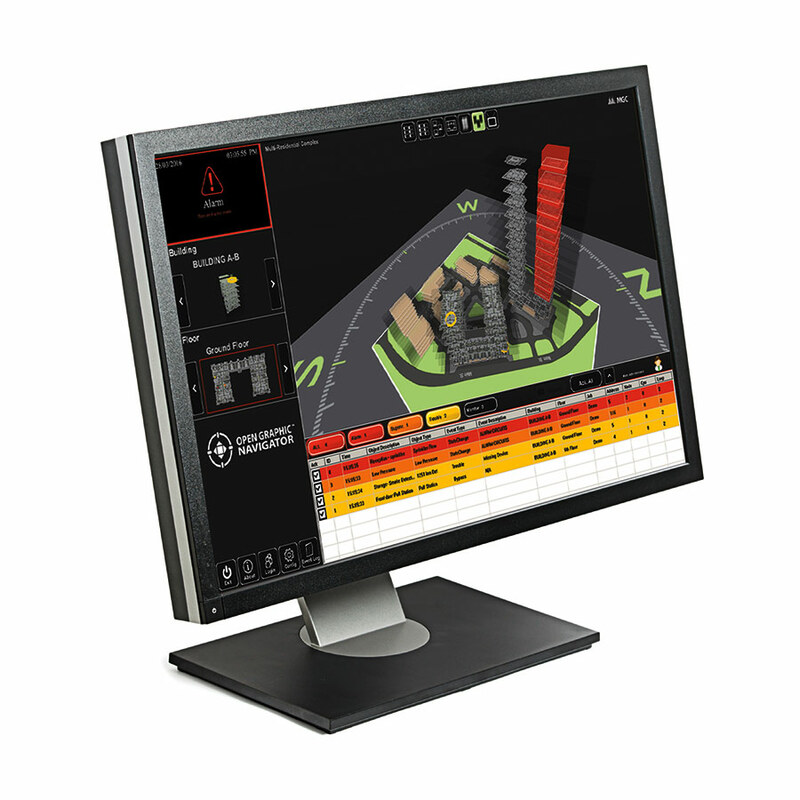 PC-based graphical command and control workstation that provides centralized life safety systems/mass notification network annunciation, historical logging, report generation, and control of multiple fire alarm networks and devices. Open Graphic Navigator (OpenGN) is a centralized fire alarm management system that provides building or campus monitoring. As a powerful integration tool, OpenGN allows operators to monitor remote sites from multiple workstations. OpenGN displays monitored buildings and campuses in both 2D and 3D representations. Mircom’s Engineering Services offers customized graphic services for an unrivaled and unique graphical interface. Outdated LED ladder graphics are no longer required, replace with a widescreen monitor and OpenGN for a modern and upscale experience. The modular architecture of OpenGN allows for a flexible, scalable and customized solution. Enterprise level homogenous (Mircom technology) and heterogeneous (3rd party technology) solutions are possible with OpenGN. “Take Action” messages provide operators and first responders with specific, real-time information about site events including notes about hazardous materials, vulnerable building occupants, and management contacts. Real-time reports of all events are compiled, exactly as they occur. With these reports and records, operators can reconstruct emergency events after the fact, both to verify that the proper steps were taken, and to improve future responses.